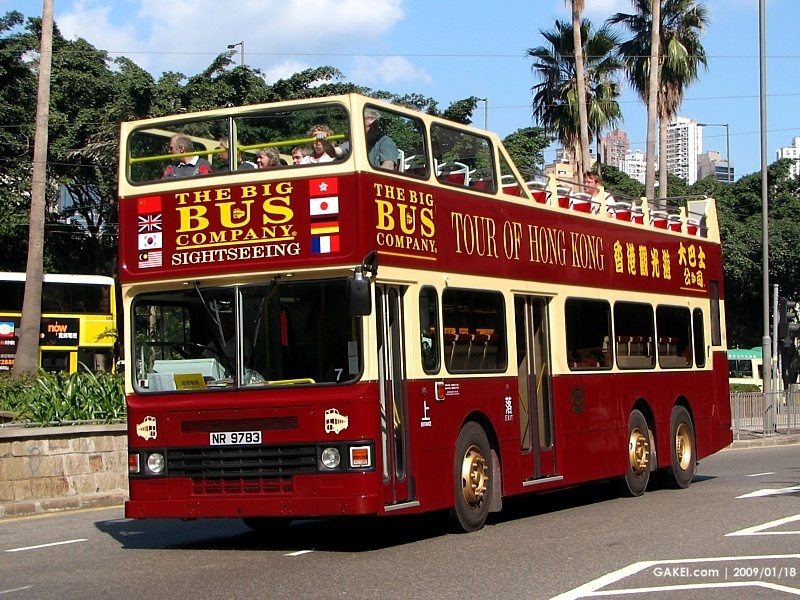 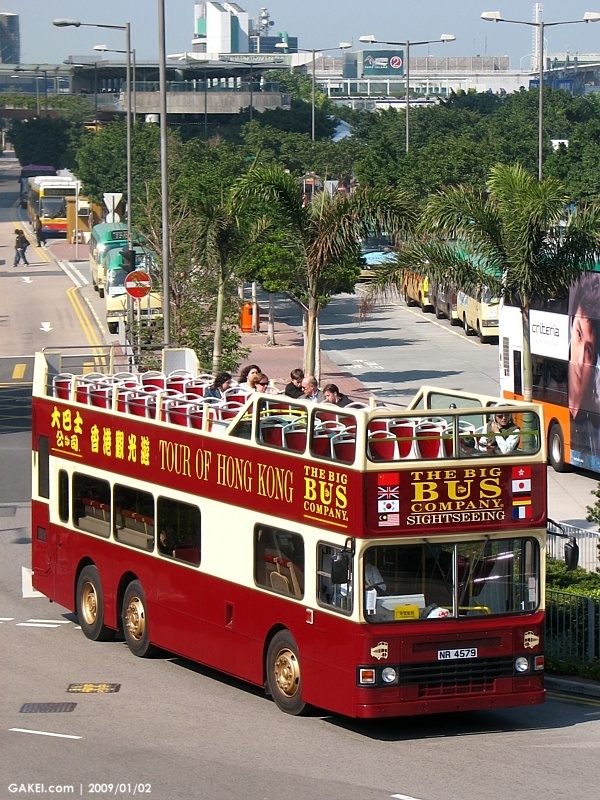 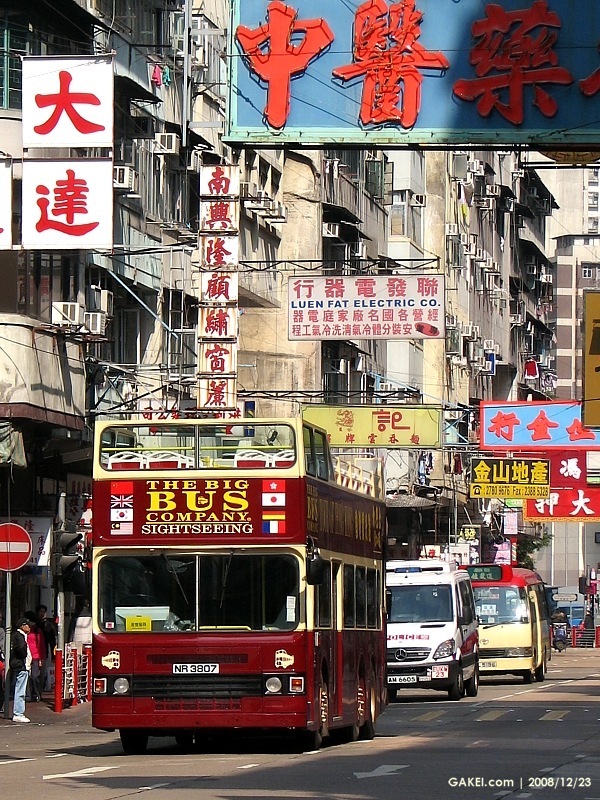 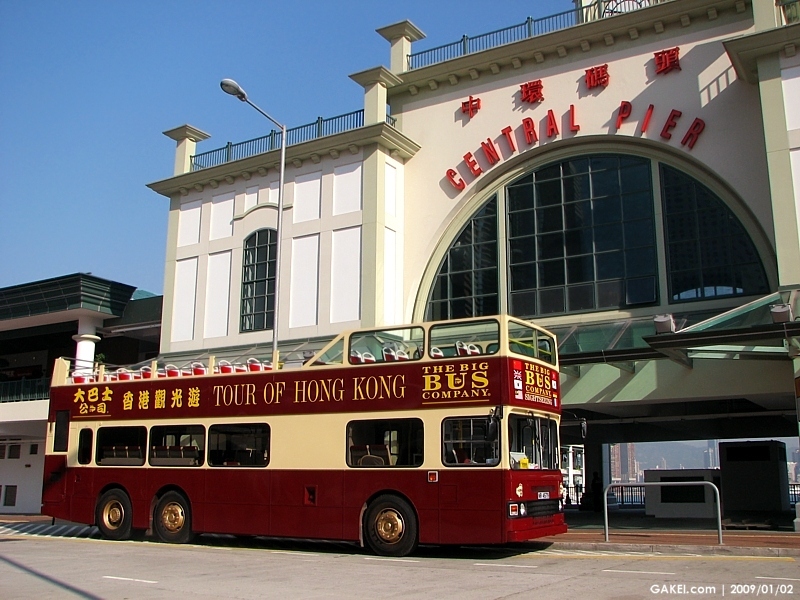 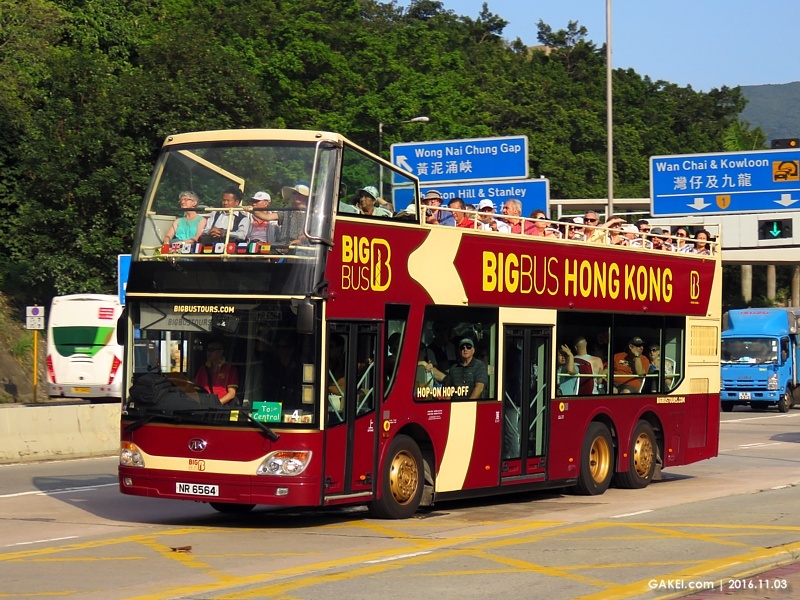 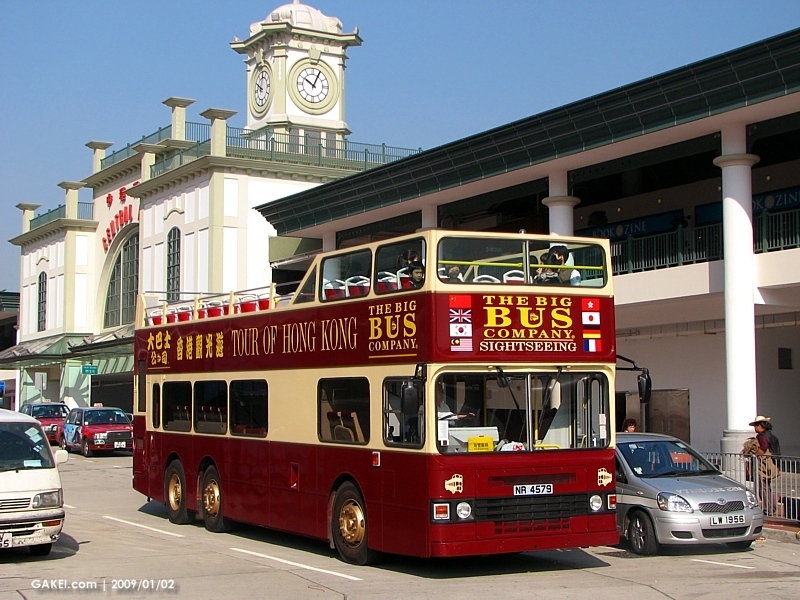 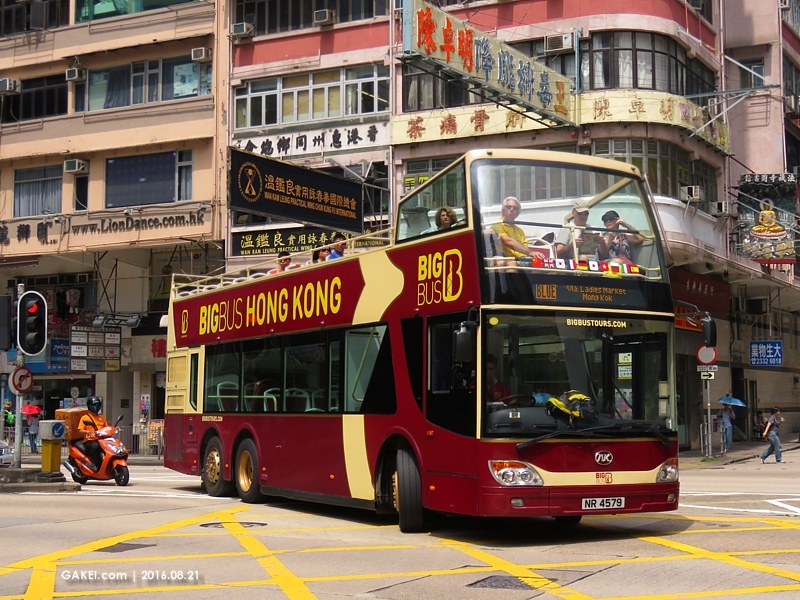 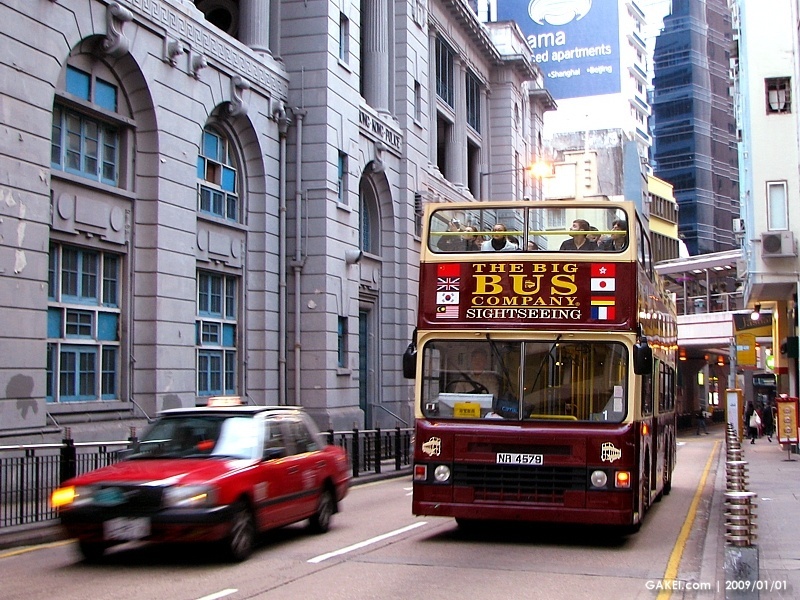 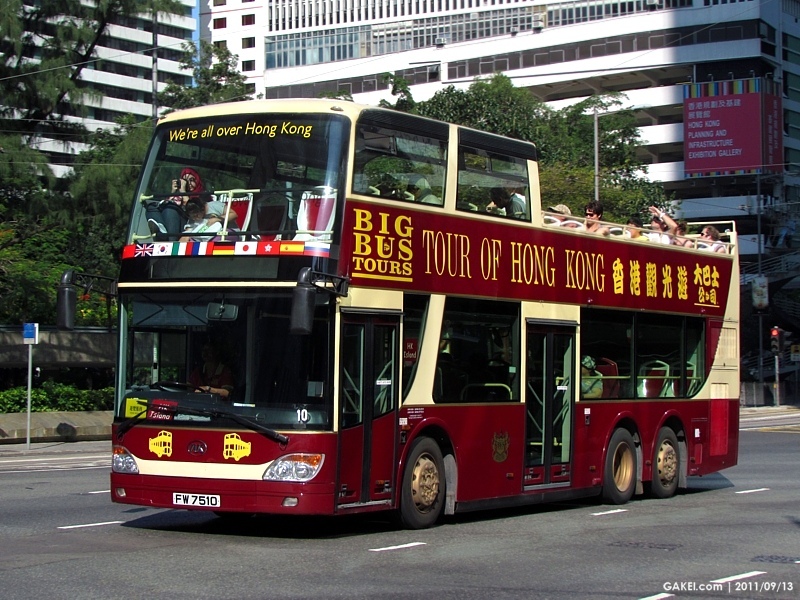 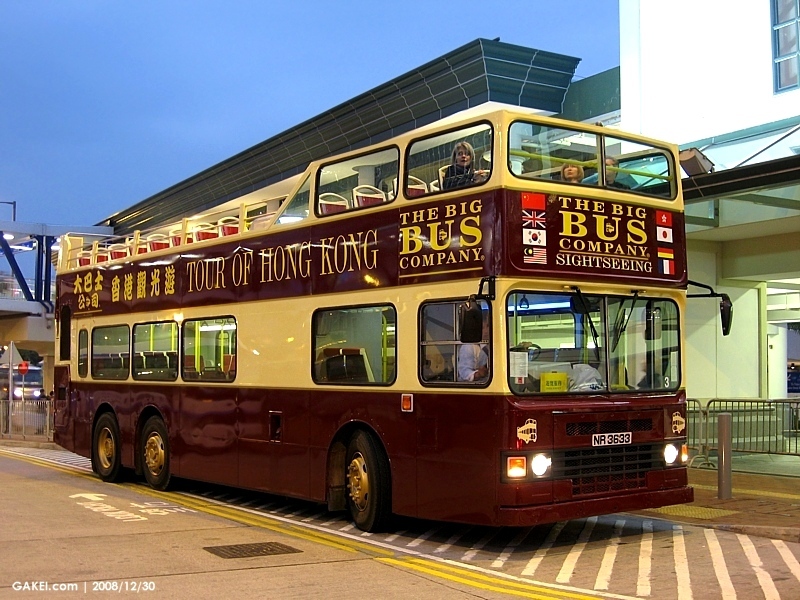 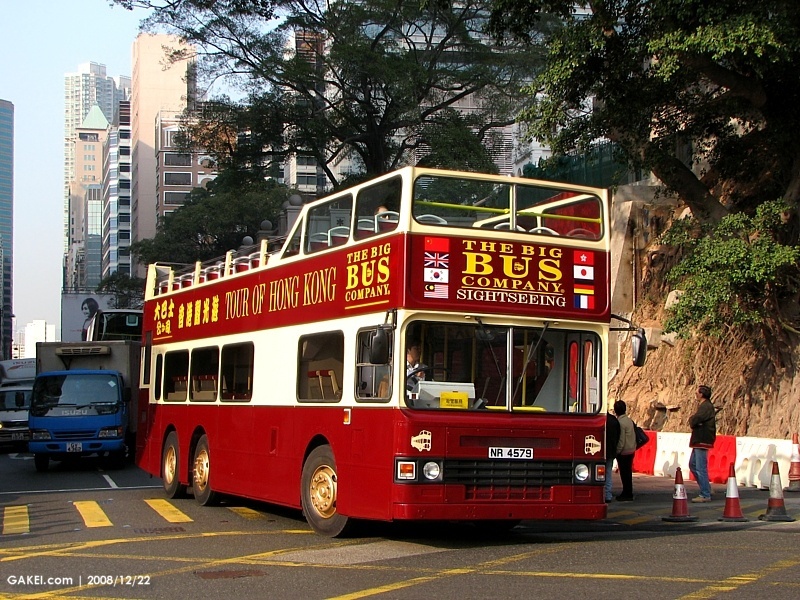 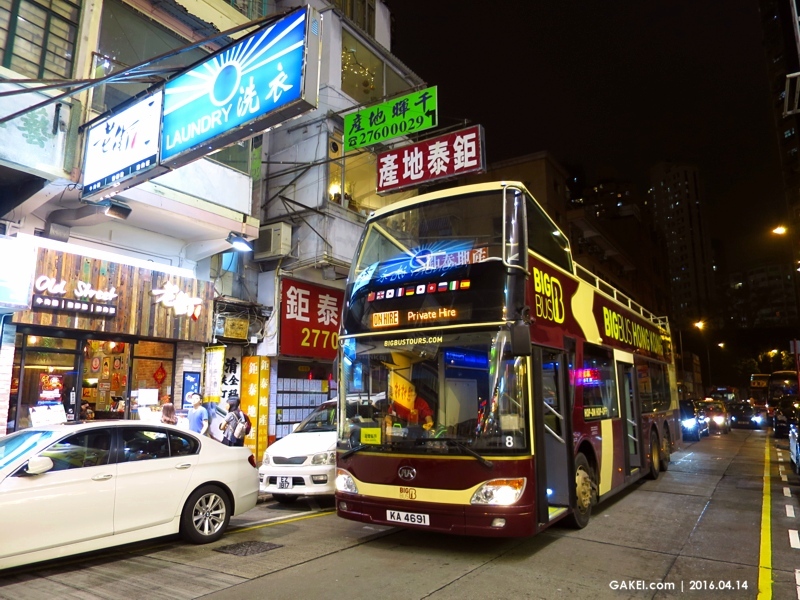 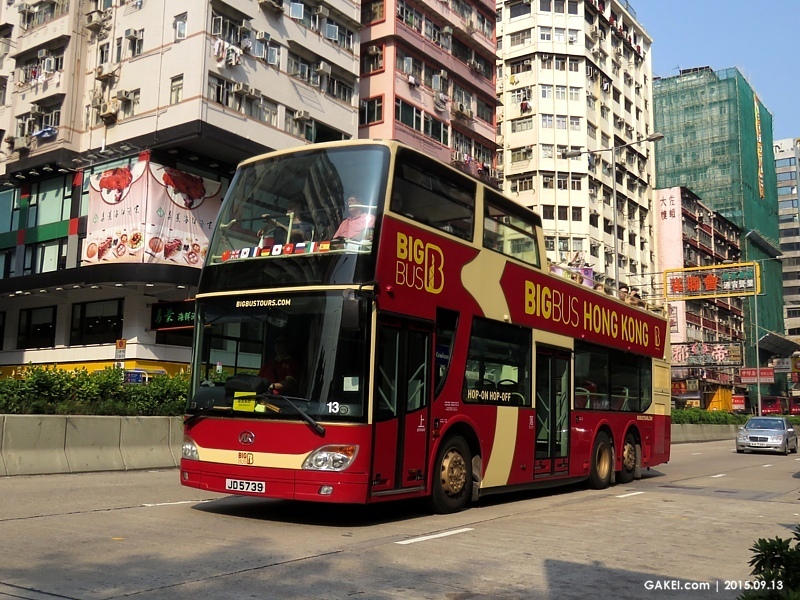 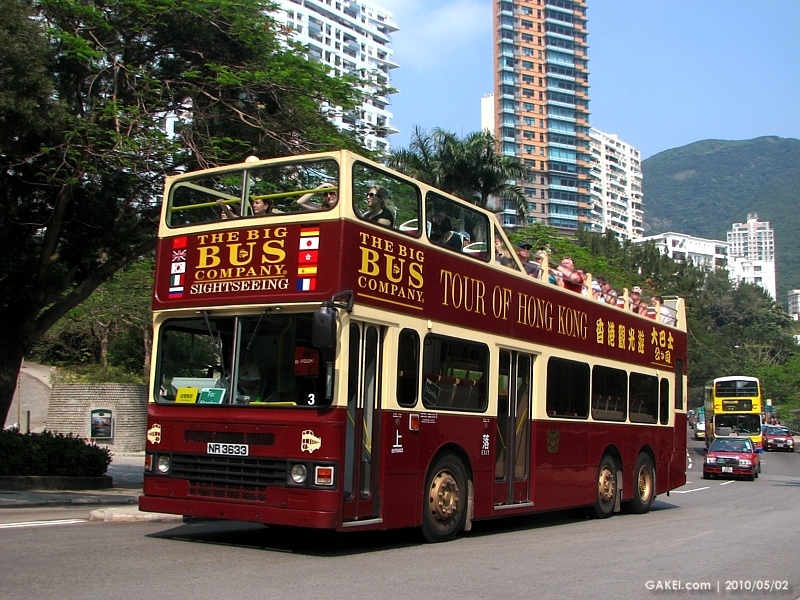 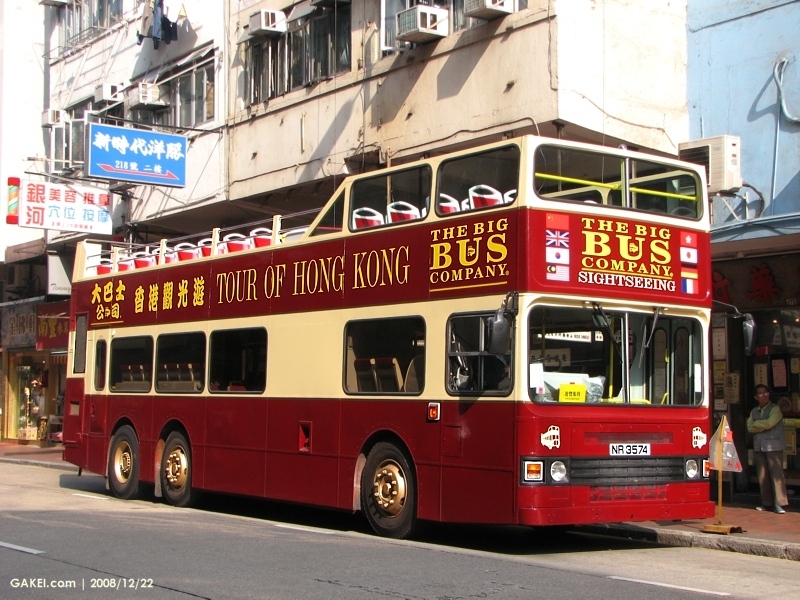 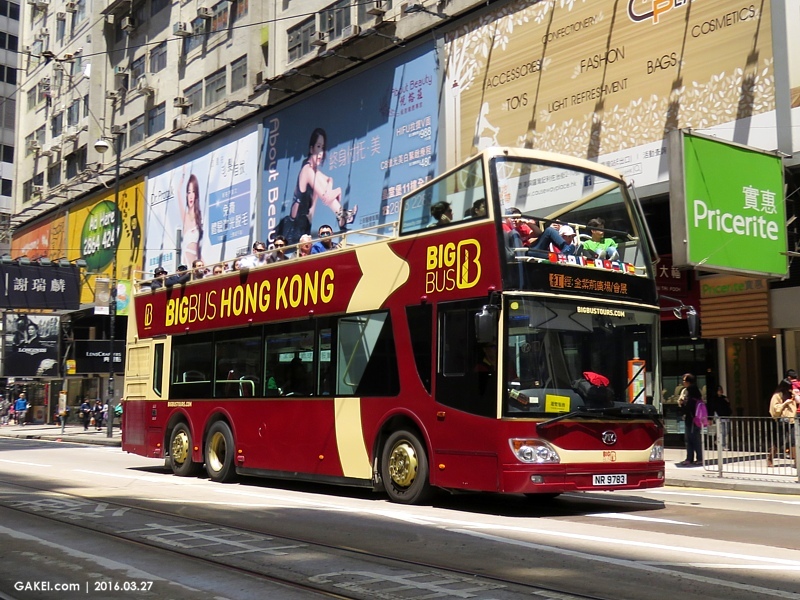 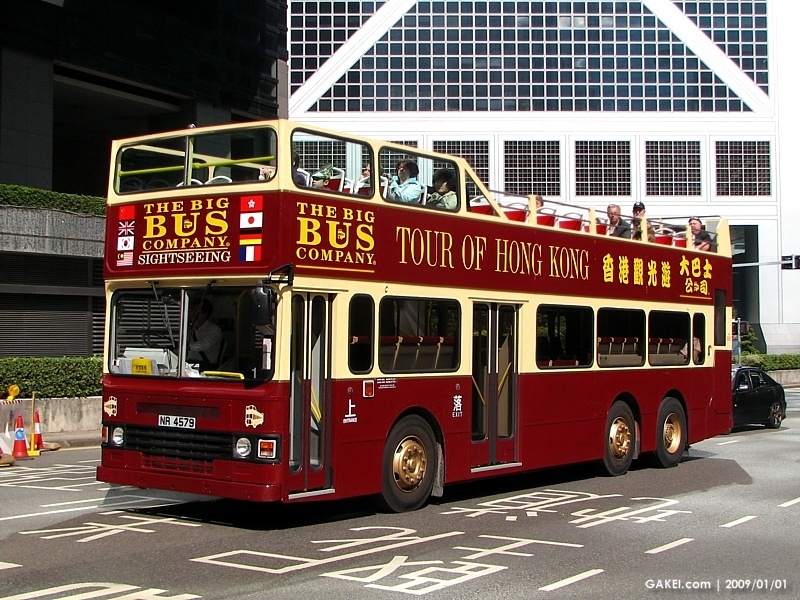 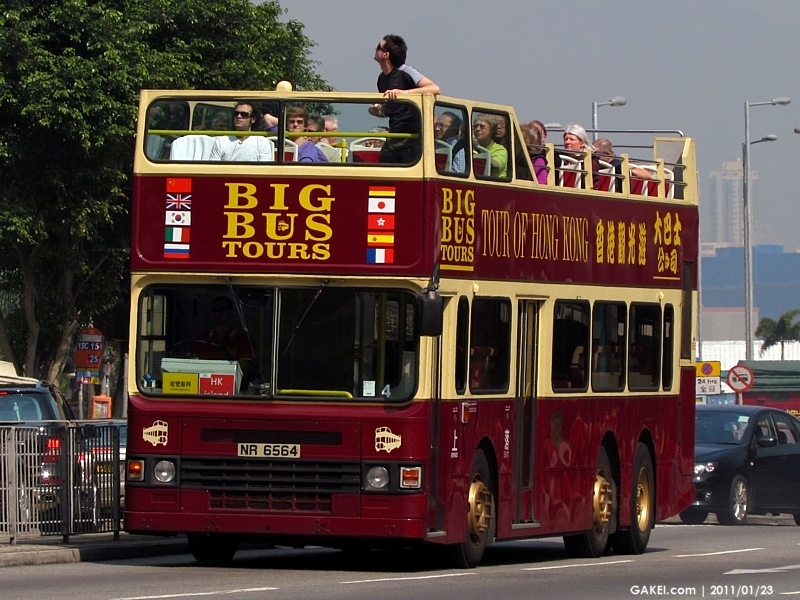 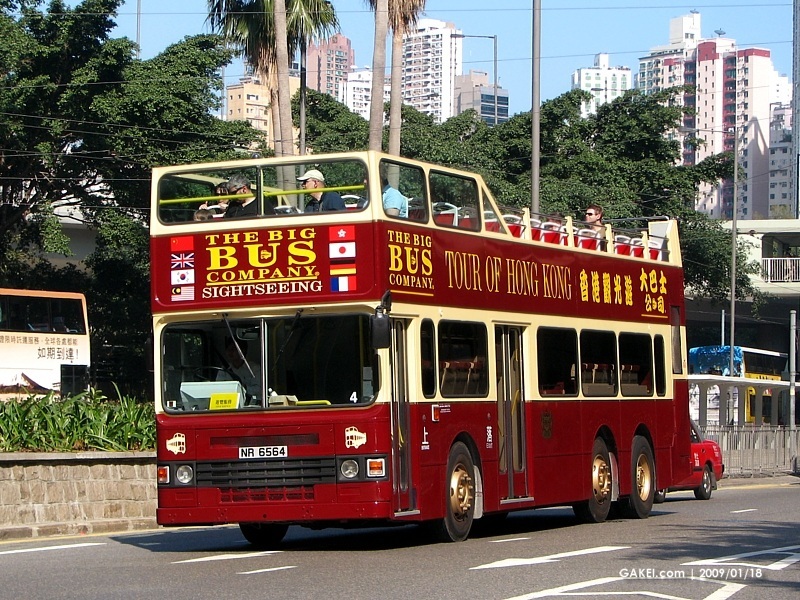 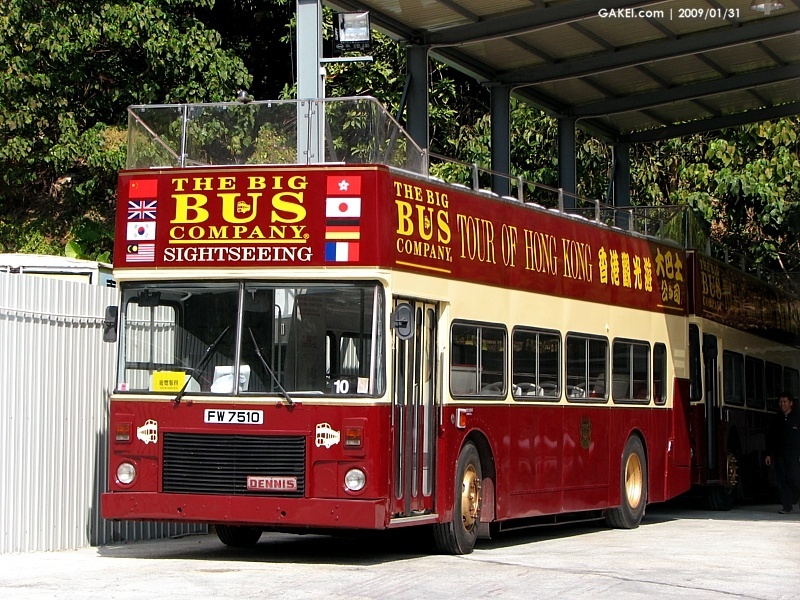 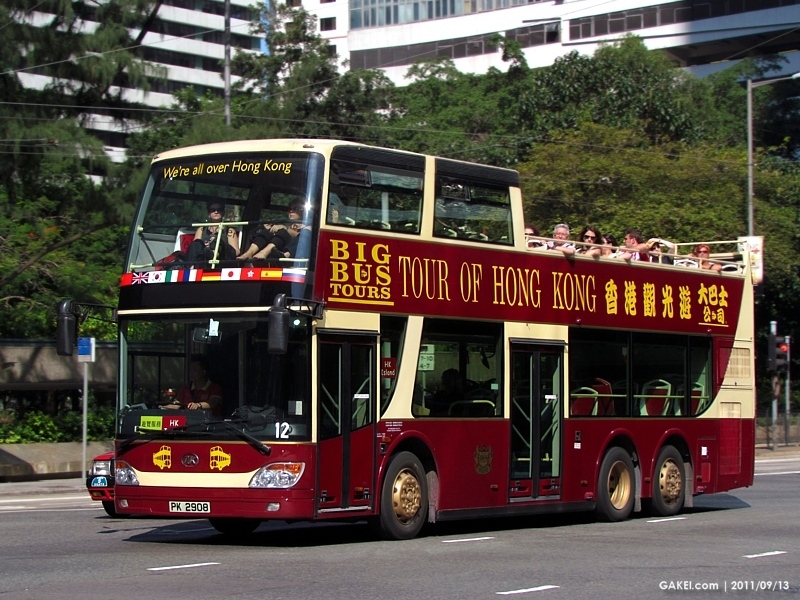 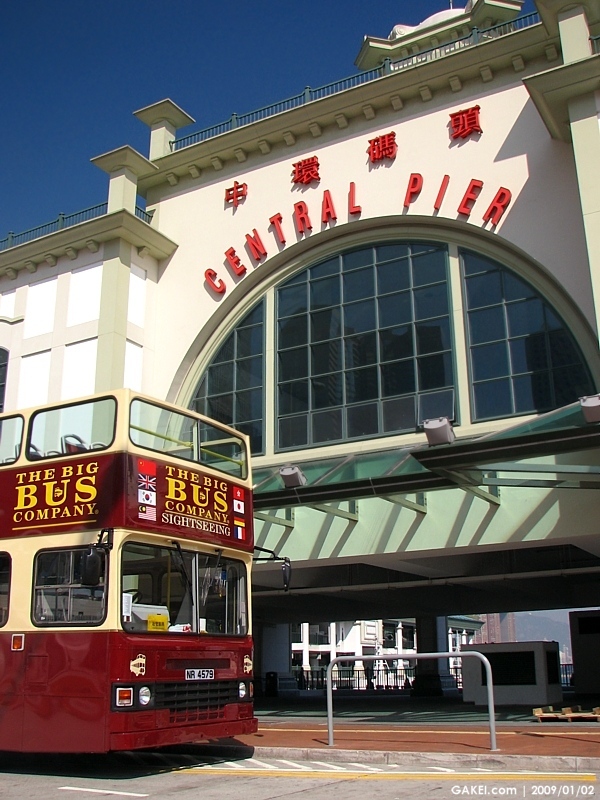 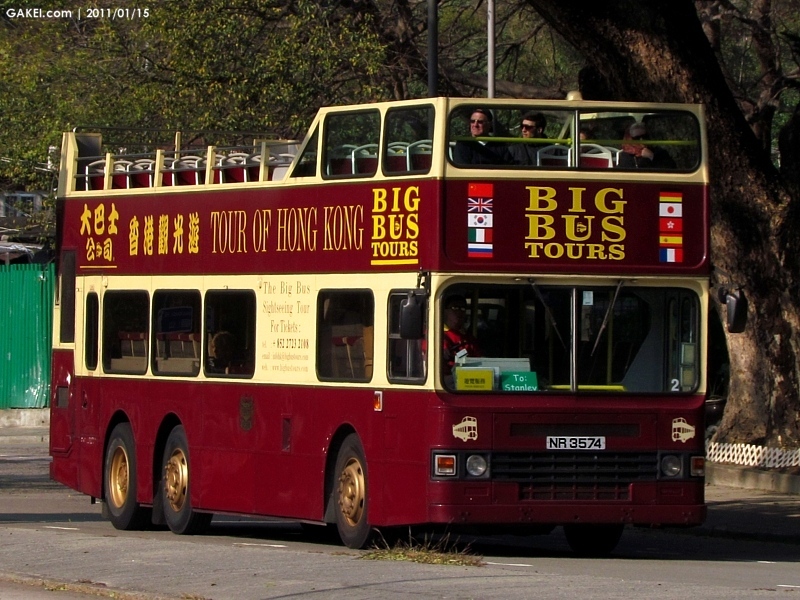 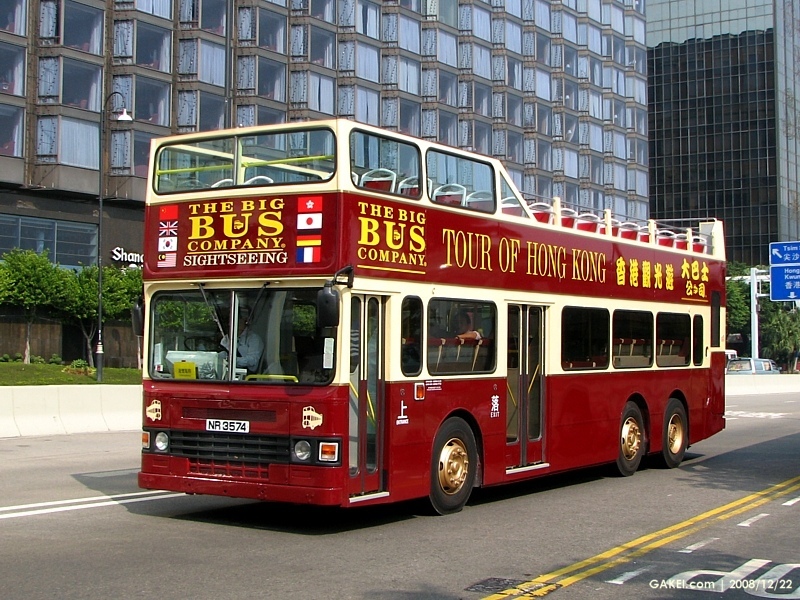 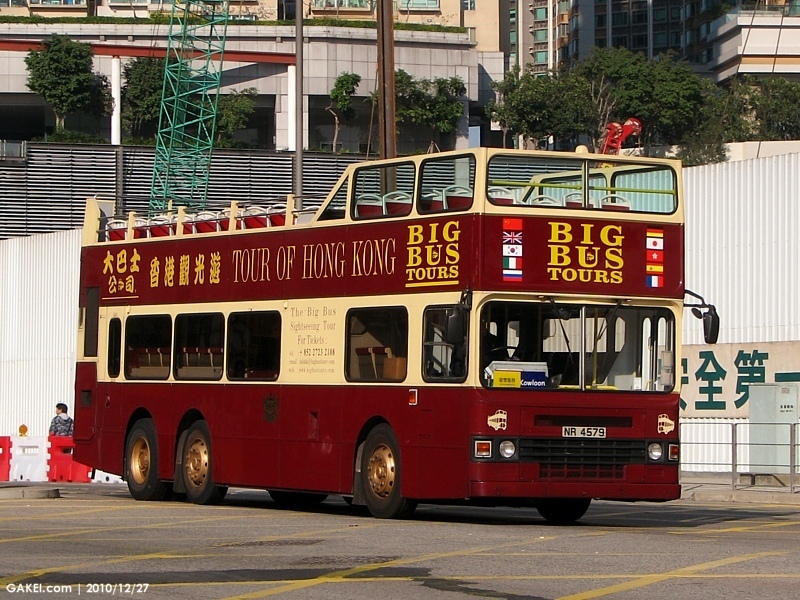 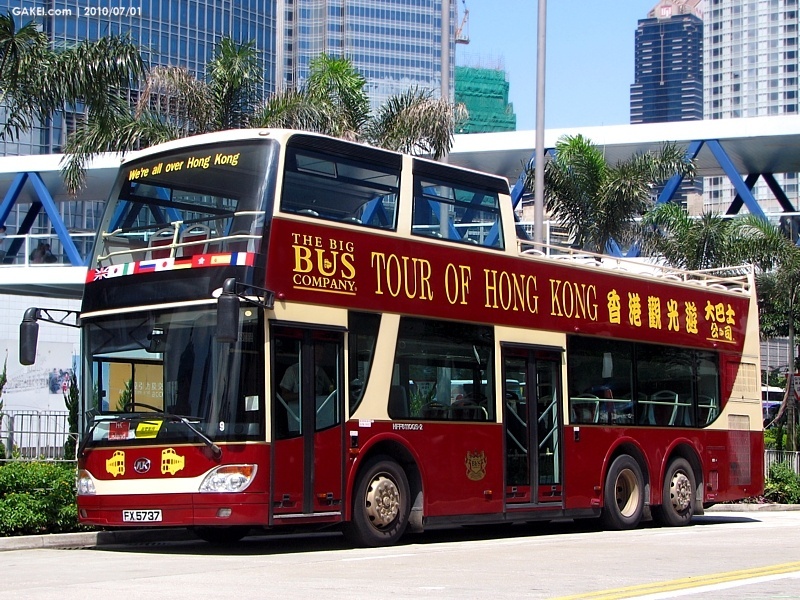 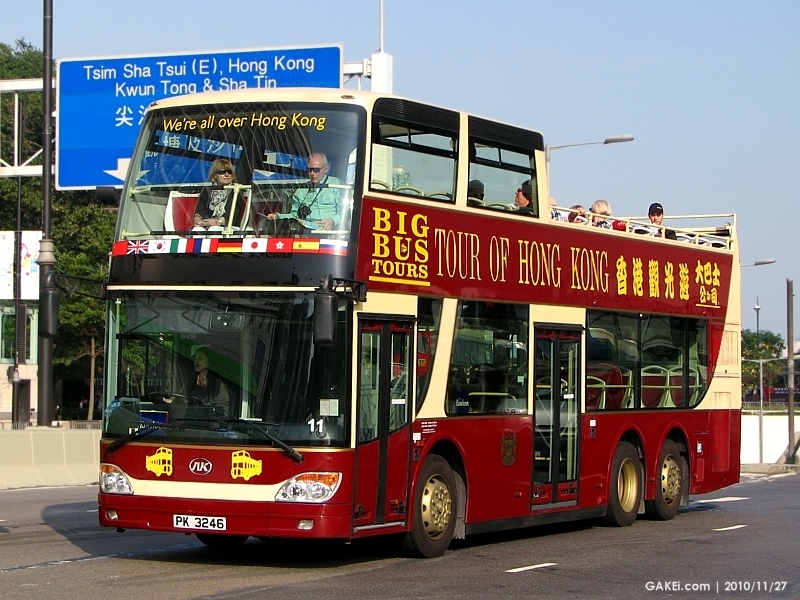 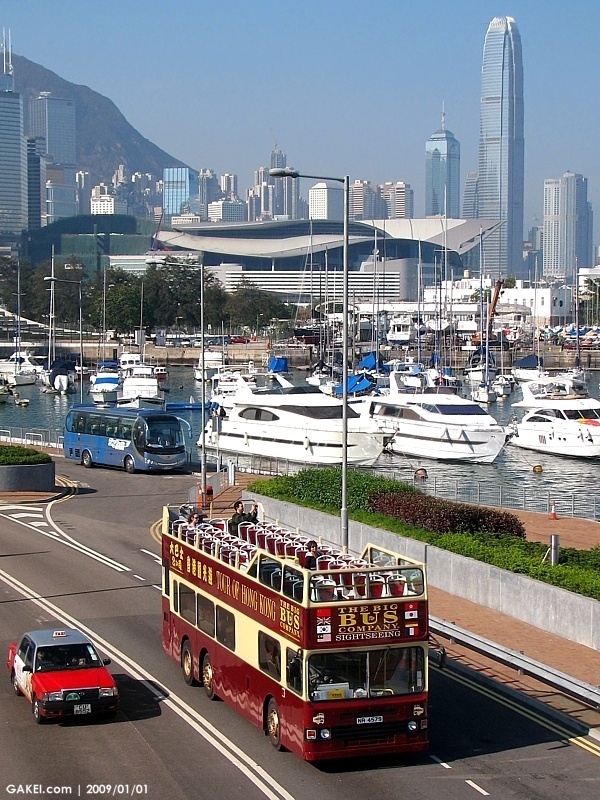 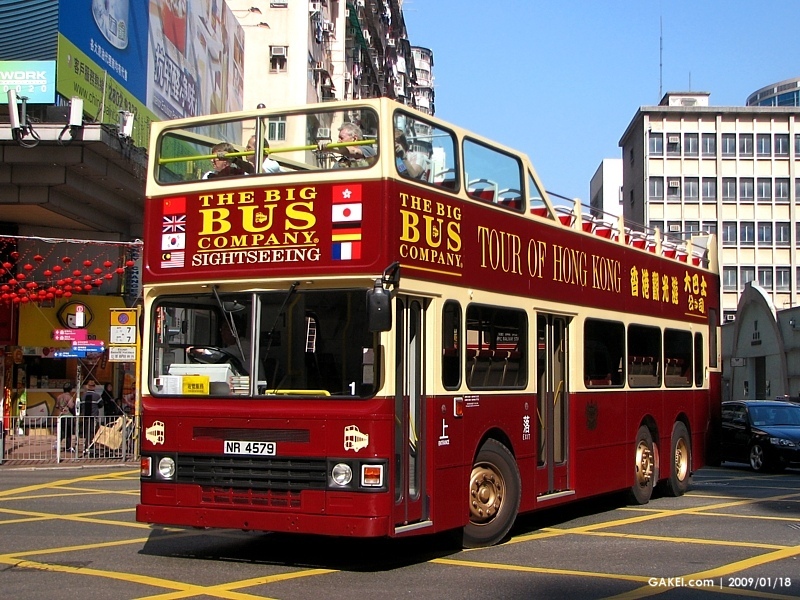 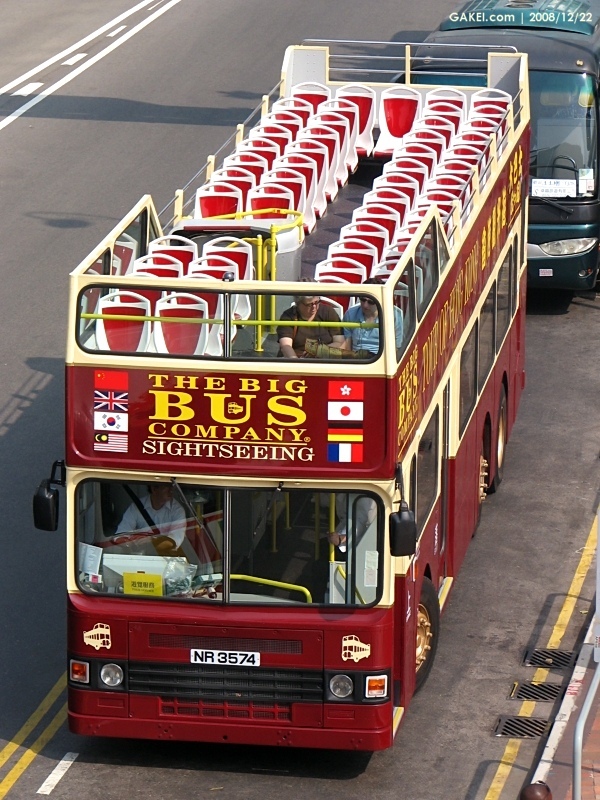 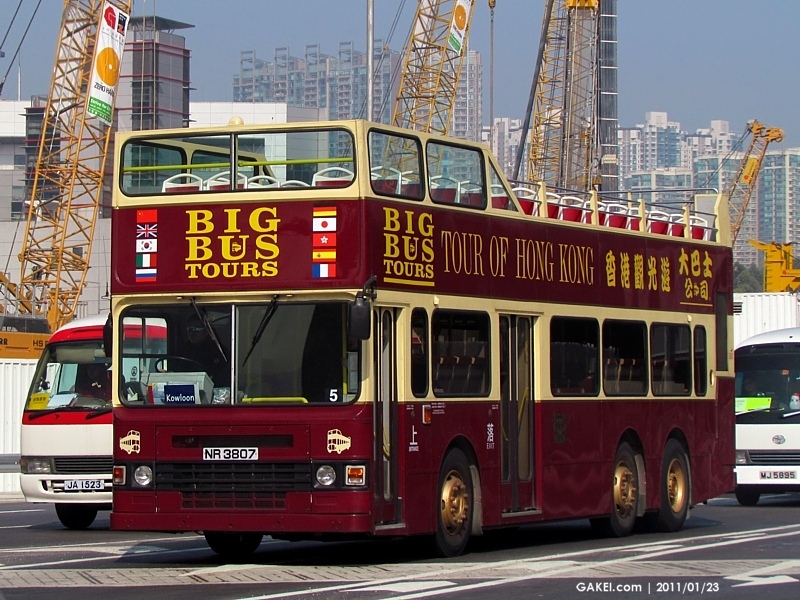 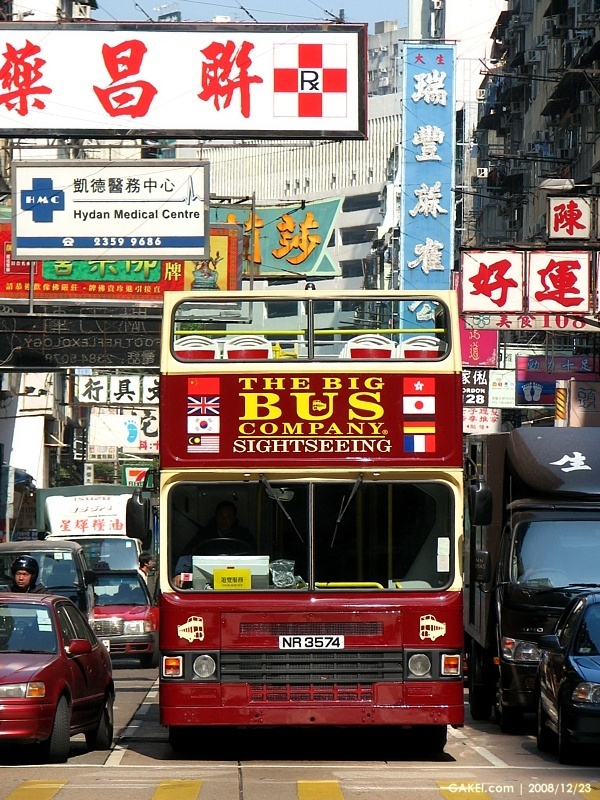 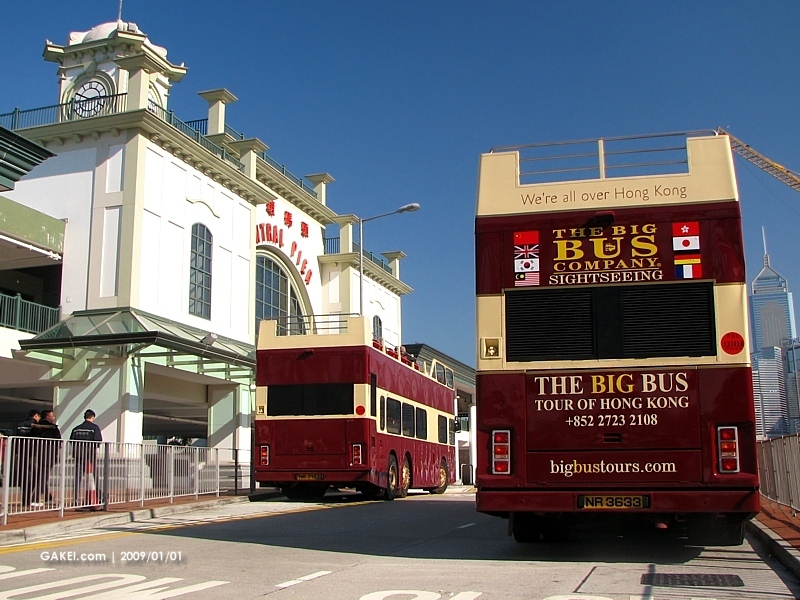 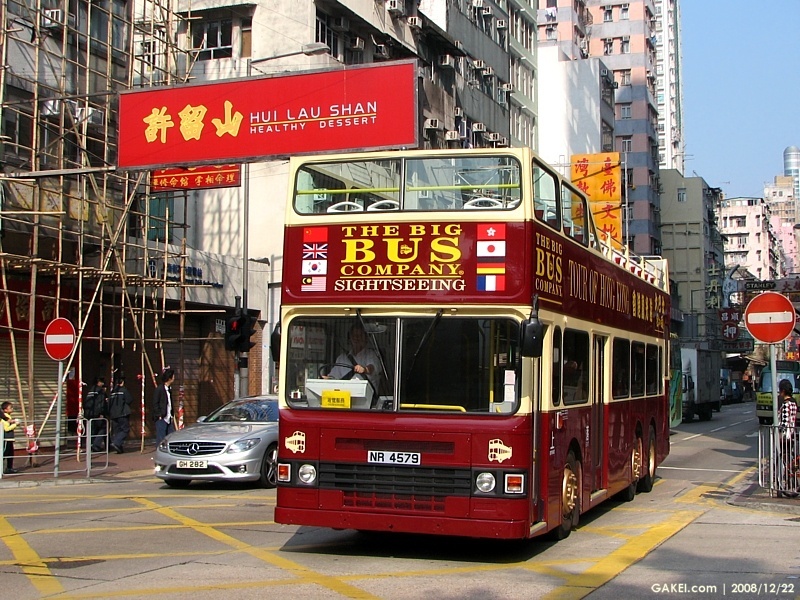 The Big Bus Company introduced its Tour of Hong Kong on 15 December 2008, following the operations of bus tours in London, Dubai and Philadelphia. 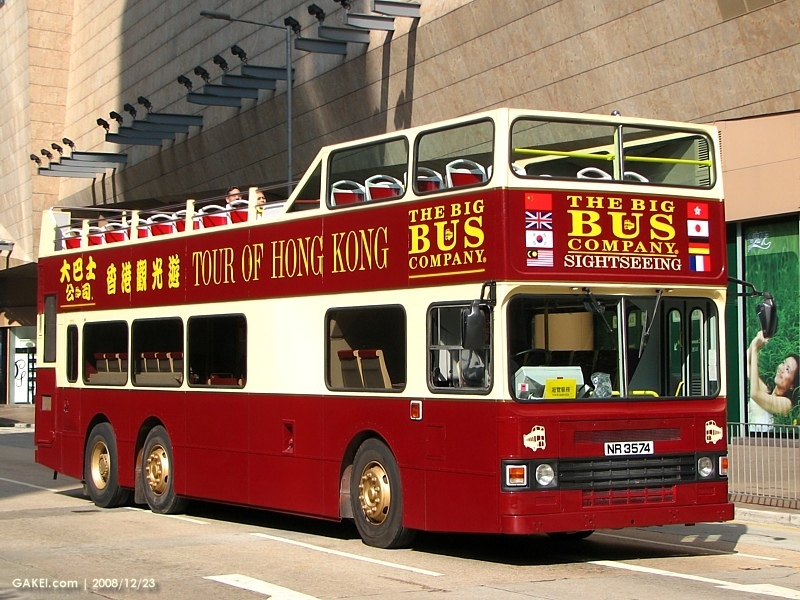 The Hong Kong Tour is consisted of three day tour routes, they are Hong Kong Island (Red Tour), Kowloon (Blue Tour) and Stanley (Green Tour). 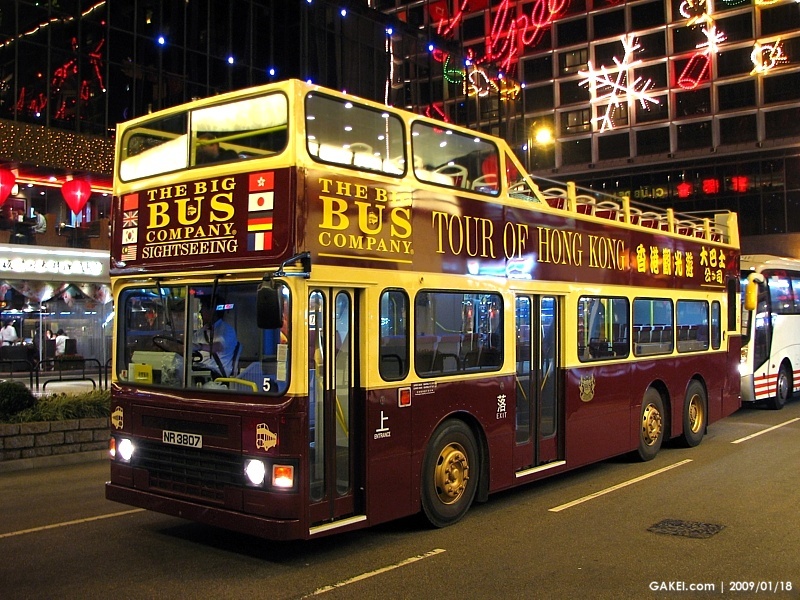 There is a Night Tour as well. 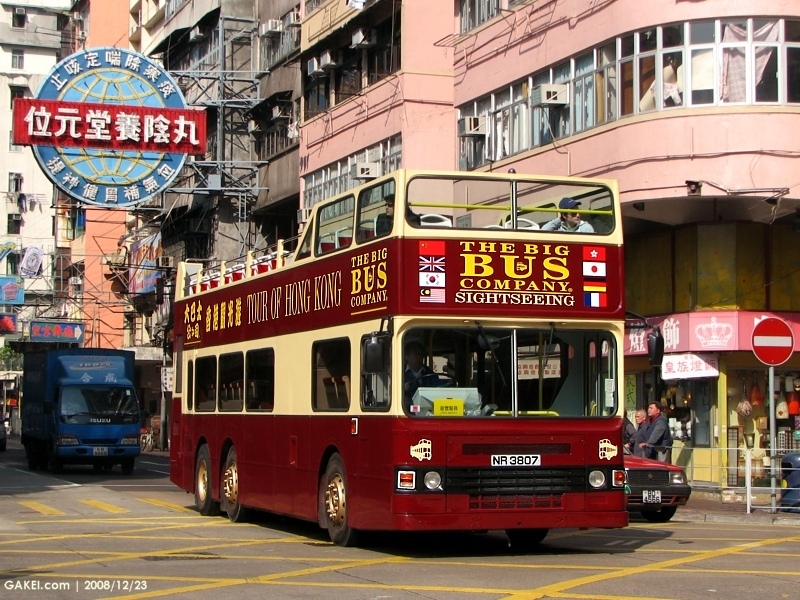 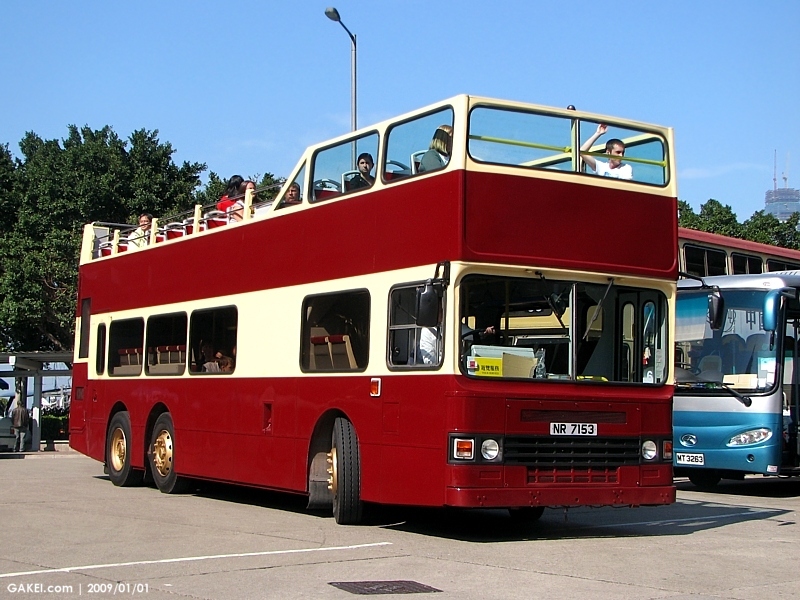 The initial fleet was consisted of second-hand Dennis Condors previously owned by New World First Bus ("NWFB"), as well as other types such as Dennis Dominator and Ankai HFF6110GS-2. 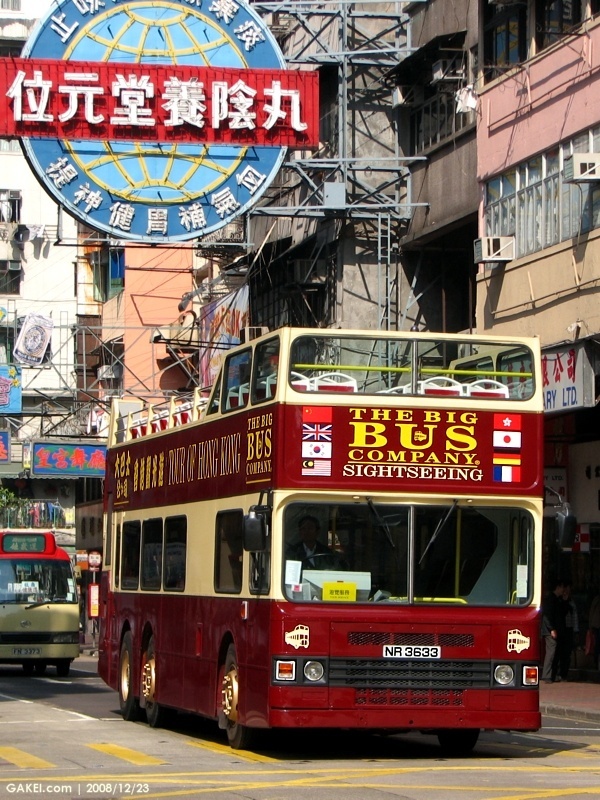 NR 4579 (#1) Former NWFB Reg. 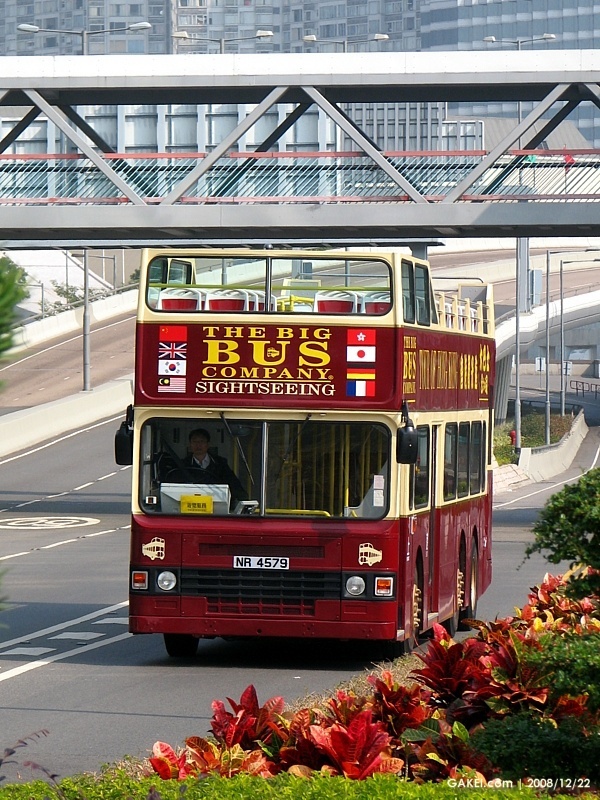 NR 3574 (#2) Former NWFB Reg. 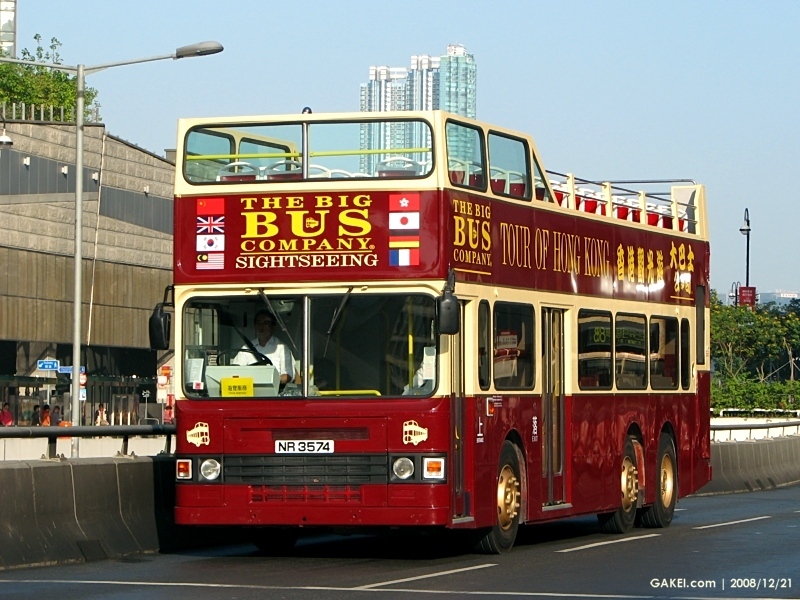 NR 3633 (#3) Former NWFB Reg. 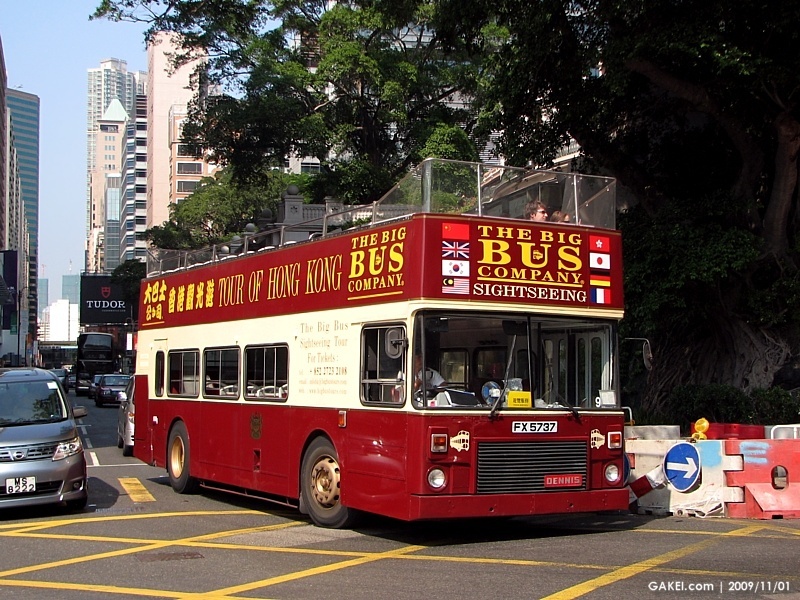 NR 6564 (#4) Former NWFB Reg. 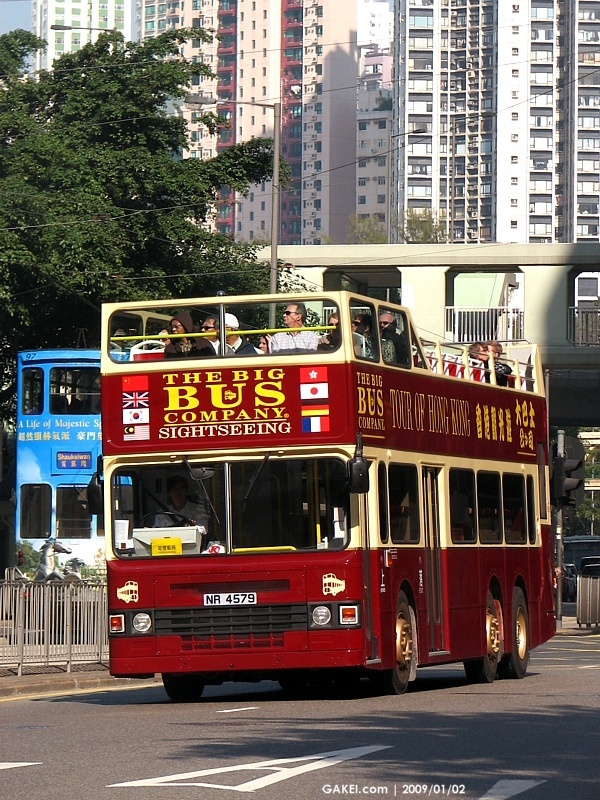 NR 3807 (#5) Former NWFB Reg. 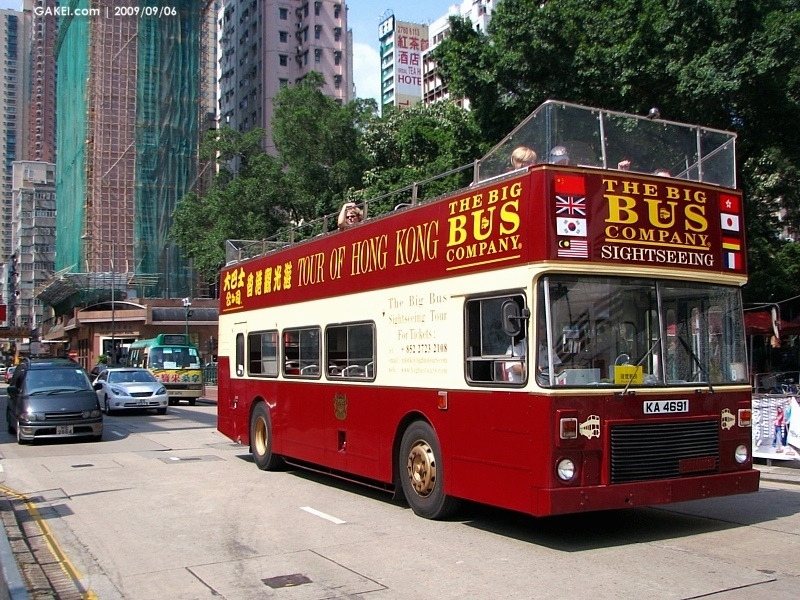 NR 7153 (#6) Former NWFB Reg. 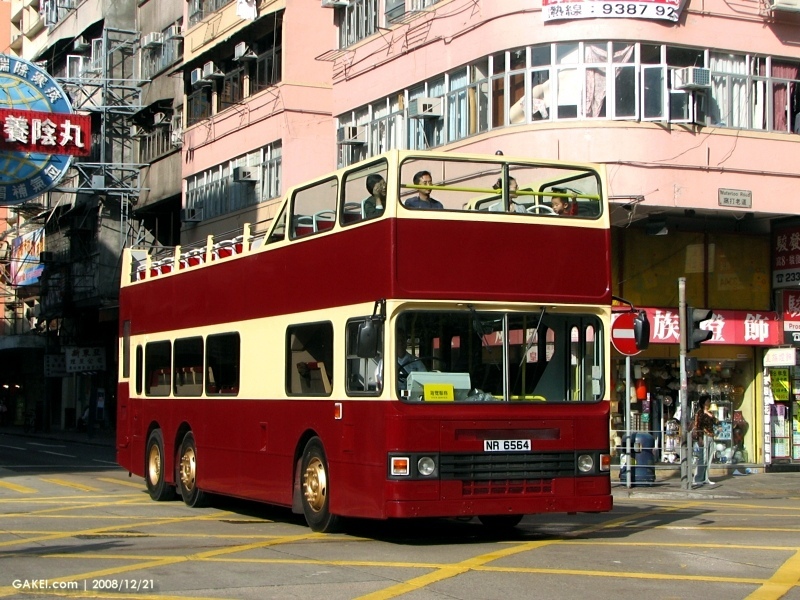 NR 9783 (#7) Former NWFB Reg.